May 6, 2016 | Kevin M. Mazza, Esq. In handling divorce matters, there are many issues that the parties argue about. One issue, however, which is rarely disputed is a need for, or a willingness to, financially support one’s children. What parties may fight about is how much that child support should be. That determination is dependent upon a multitude of factors, most notably the incomes of the parents. For most “average” families, the courts have largely determined what the amounts should be through the use of Child Support Guidelines – plugging in incomes and other set variables to arrive at specific support levels which are then apportioned between the parents. However, our office is often confronted with families whose circumstances are far from “average”. The parents’ income may be far above “average” (i.e. a combined net annual income in excess of $187,200.00), or a family or child may have special, unique or extraordinary expenses which are also far from average. It is often both. In these instances, the Guidelines are merely the starting point. How much child support will be and what that support does or does not cover are questions we are frequently asked. Those answers are dependent upon a multitude of factors, and are a frequent source of conflict between the parties. The object of this blog post is not to offer a primer on the law governing child support in New Jersey, but rather to highlight some practical, real world considerations when confronted with families whose circumstances are far from “average”. When confronted with a high parental income case, the Guidelines and case law offer some direction on how to address child support in those situations. If the combined net income of the parents is more than $187,200.00 per year, one is to apply the Guidelines up to $187,200.00 and then supplement the Guidelines-base award with a discretionary amount based upon the remaining family income applying the factors specified in N.J.S.A 2A:34-23(a), including but not limited to: 1) needs of the child; 2) standard of living and economic circumstances of each parent; 3) all sources of income and assets of each parent; 4) earning ability of each parent, including education background, training, employment skills, work experience, custodial responsibility for children including the cost of providing child care, and the length of time and cost of each parent to obtain training or experience for appropriate employment; 5) need and capacity of the child for education, including higher education; 6) age and health of the child and each parent; 7) income, assets and earning ability of the child; 8) responsibility of the parents for the Court-Ordered support of others; 9) reasonable debts and liabilities of each child and parent; and 10) any other factors the Court may deem relevant. The applicability of these factors varies from case to case as does the weight the Court may afford to any of these factors. Beyond the rule that a Court may not simply extrapolate the Guidelines amount as a formula of income, the level of child support in high income cases is very fact sensitive and discretionary. The case law dealing with these situations have largely focused on the “needs of the child” and the “standard of living” factors. As stated by our Appellate Division in Isaacson vs. Isaacson, 348 N.J. Super 560 (App. Div. 2002): “Where our attention is focused on the unique circumstances of the high-income earner whose ability to pay increased child support is not an issue, the dominant guideline for consideration is the reasonable needs for the children, which must be addressed in the context of the standard of living of the parties. The needs of the children must be the center piece of any relevant analysis.” Id. at 581. After determining those “reasonable needs” of the children, the maximum base child support amount is subtracted therefrom with “the remaining children’s needs to be allocated between the parties”, as an approach set forth in Caplan v. Caplan, 364 N.J. Super 68, 90 (App. Div. 2003)(cited with approval by our Supreme Court, 182 N.J. 250, 271 (2005)). When a client asks: “What exactly are the ‘reasonable needs’ of my children?”, my basic response is that it is highly subjective and depends on the unique facts and circumstances of that family. What level of income are we dealing with? What kind of lifestyle does the family enjoy? Kinds of homes and cars? Vacations enjoyed? Schools attended? Activities involved in? Any special needs? What has been afforded to the children in the past and what is the likelihood and expectation of that continuing into the future? Note that support under the Guidelines represents the “average” amount that intact families spend on their children. To what extent do the amounts expended exceed that “average”? Beyond bare necessities, our courts have recognized that children are entitled to share in a parents’ financial achievement or “good fortune”. Isaacson, supra, 182 N.J. 582; see also Walton v. Visgil, 248 N.J Super 642 (App. Div. 1991); Zazzo v. Zazzo, 245 N.J. Super 124 (App. Div. 1990); Dunne v. Dunne, 209 N.J. Super 559 (App. Div. 1986). Our Courts have recognized that a determination of “reasonable needs” must be a balance between lifestyle opportunities versus precluding an inappropriate windfall to a child or compromising a parent’s legitimate right to determine the appropriate lifestyle of their child. It is not an opportunity for a “wish list”, but rather is to be a presentation of needs that are consistent with a lifestyle without overindulgence. The Appellate Division in Isaacson referred to the “3 pony rule” as an example: “No child, no matter how wealthy the parents, needs to be provided with more than three ponies”. (citing In re Patterson, 920 P.2d 450, 455 (Kan. App. 1996)). I have not had a pony case yet. However, perhaps by analogy yesterday’s pony is today’s automobile, and I have addressed a number of questions or disputes about them. 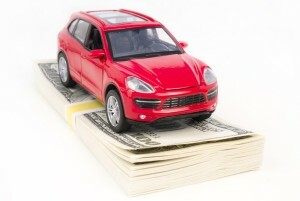 Is a parent obligated to contribute towards the cost of a child’s car? If so, how much and what kind? First of all, the Guidelines make clear that while the base child support award encompasses transportation costs, it “does not include expenses associated with a motor vehicle purchased or leased for the intended use of a child”. That being said, what would have been the expectation about a car if the family had remained intact? Today, a car for a child is less a luxury and more of a necessity. Does this mean a child should be entitled to a luxury car if that is what his or her mother or father drives? While our Courts have frowned upon this expectation, I submit that if the parties’ older children pre-divorce had received a Mercedes or BMW for their 17th birthday, wouldn’t it be reasonable for a Court to assume that the younger children would expect to receive a similar vehicle, all other factors being equal, regardless of the parties being divorced? Similar considerations for expenses such as private school tuition, summer camp, participation in high level or competitive music, arts and sports programs, vacations, study abroad programs, among others. What has been the history? What were the expectations? Consideration must also be given to the age and health of the children at that juncture, as the needs of teenage children are different than the needs of infants, as would be the necessity for the Court or the parties to address them. Child support is not just about dealing with expenses directly connected to the child, but also represent the child’s share of housing, food, clothing, transportation, entertainment, health care expenses and other miscellaneous items. Again, the basic child support award represents the “average” amount spent. Given that the standard of living in a high income family, even as to these core expenses, would likely exceed this average, this would also factor into a calculation (albeit a less precise one) of the children’s reasonable needs, particularly in a circumstance where there is no alimony, or alimony is based upon a lower marital standard of living (as is the case in many post-judgment modification situations). The Courts have noted that the other parent may receive an incidental benefit is of no moment as long as it does not cross over into overreaching in the name of benefiting a child. Child support generally encompasses a child’s share of expenses such as repairs for a home in which they live and for a car which may be used to transport them. What if the house furnace died or the car engine block cracked? Would the payor parent be required to contribute towards the cost of a new furnace or a car as an element of child support, even if the house or car belonged to the other parent? Depending upon the circumstances (including the child’s age and other facts) the “good fortune” parent may be expected to do so to avoid a child living in an uninhabitable home or one in a state of disrepair, or having no or an unsafe means of transportation. What if the families’ income does not exceed the Guidelines maximum? Would child support be limited to the Guidelines award? Even in these cases the answer is often no and a further analysis is needed. Given the relatively high Guidelines’ income threshold, many middle class, if not upper middle class, families still fall within that threshold. While perhaps not at the same extent as truly high income families, many of these families are confronted with the same types of “lifestyle” considerations in regards to the needs of their children. Many of these families may choose to send their children to private or parochial schools. Many of these families enroll their younger children in preschool programs, and not for child care purposes, which the Court in the case of Madison v. Davis, 438 N.J. Super. 20 (Ch. Div. 2014) considered a reasonable and appropriate expense for a child for which both parties had a duty to contribute. Children of such families may also participate in high level, competitive music, arts or sports programs in which the cost of participation is very high, whether in regards to the equipment or training needed or for the travel associated therewith. Children of such families will require use of an automobile when they reach driving age, whether one is purchased for their use or they will be driving the “family car”. In each instance, there are considerable costs involved, including significant increases in car insurance premiums. These children may have “special” health or educational needs. These and many other types of expenses would fall outside the scope of a basic child support award under the Guidelines, and the appropriateness and necessity of those expenses and each parent’s respective duty, if any, to contribute, will obviously need to be addressed. In some respects, the Guidelines attempt to address how such expenses should be handled. If these types of expenses are “predictable and recurring”, the Guidelines provide for them to be added on to the basic child support amount to then come up with a total child support amount which would be allocated between the parties, subject to appropriate adjustment, should one parent or another pay those expenses directly. However, if these types of expenses are not considered predictable or recurring, they are handled outside the Guidelines altogether, the suggestion being they should be shared in proportion to each parent’s relative incomes. Even beyond these types of expenses, disputes will often arise as to whether certain expenses are considered as part of a Guidelines child support award or should be dealt with separately. Most children expect to have their own cell phone, or more accurately these days, a smart phone. While “mobile devices” are listed as a Guidelines expense, is it meant to encompass one used for the household or for a child separately, particularly given the increasing cost of not only the phones themselves, but of the monthly service plans for them. What about the cost of a separate computer for the child, particularly if needed as an aspect of their education. Again, the Guidelines include computers and software as an expense. Would this also include separate computers for the children as opposed to one for the “household”. The Guidelines also encompass things such as “fees, membership and admissions to sports, recreational or social events, lessons or instructions, as well as recreational exercise or sports equipment.” Again, we are talking about “average” expenses incurred by intact families. The issue arises when those sorts of expenses and needs are far beyond what could be considered average. The lesson from all of this is that regardless of the type of case, the applicability of the Child Support Guidelines should only be the beginning of the analysis. Parents must carefully and thoughtfully review and consider the needs and expenses of their children, not only currently, but for the reasonably foreseeable future, in order to assist their attorneys, as well as the Court in determining what the “reasonable needs” of the children are, and fashion an appropriate child support award to address them.